This training course shows you how to use the skills and experiences you have accumulated during your lifetime – to become a paid professional Life Coach. Every colourful event you’ve lived through now has HUGE VALUE as ‘an experience’. Any mistakes you made can become helpful stepping stones of guidance for the people you coach. So nothing you’ve done was a wasted experience. Think of the School of Hard Knocks as your university. This is a SIX MONTHS comprehensive training programme (HOME STUDY) which leads to a diploma qualification. Graduates may put DipLC after their name. There are six units to the programme. You can take less than six months if you are able to devote more than five hours a week to your studies. Assignments include practical exercises in the real world. All students seem to enjoy these. You’ll also learn how to set up your own business as a professional Life Coach. That means clients pay real money into your bank account. LifeCoach What prior skills do you need? What fees should you charge? How do you promote yourself? Can you work from home? Can you have clients worldwide? (Yes.) This training course is extremely thorough and covers all of these questions, plus lots more. Even questions you don’t know to ask. Everything is included in the course fee. Phil Linklater, your Life Coach Tutor has managed sales teams, was a sales and management staff trainer and is experienced in marketing, packaging, commercial property, horticulture import/export, and small business development. He was the consultant called in to implement creative and innovative management solutions when clients had problems. His business communication background includes trade negotiations with businesses in Asia and Europe. 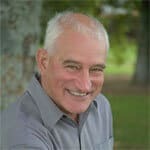 Phil is a qualified Life Coach, master practitioner of NLP (NeuroLinguistic Programming), and is a Reiki Master. Phil works closely with individuals and small-medium business owners. This was a really good course of study. I learnt a lot about myself and how my own experiences can help me to help others. Great course with rich content and reference materials to support learning. I got clarity in a lot of areas of my life. There were some skills that I already have and then there are some skills that I needed to work on to bring out the best coach in me. The course gave a cutting edge in today’s market and confidence that I needed to create a Life Coaching Business. 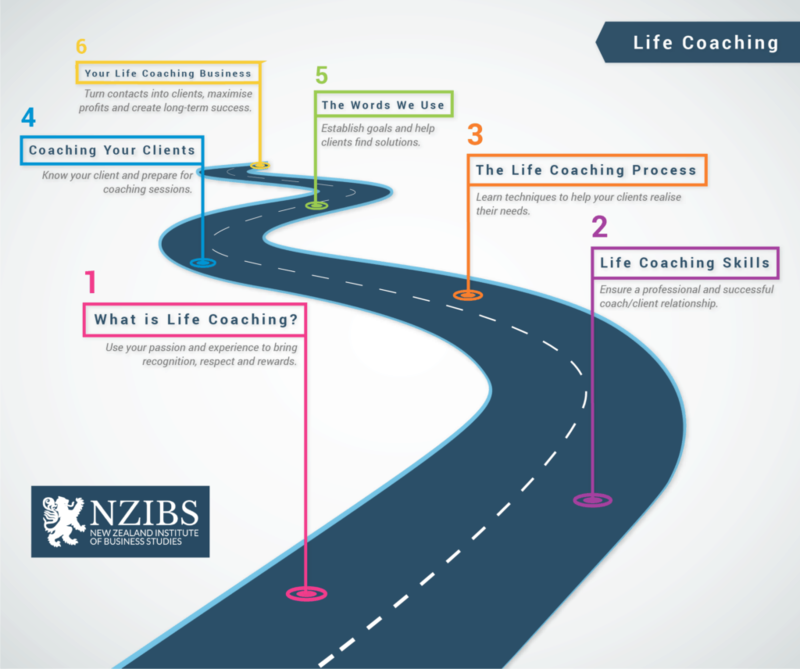 The life coaching course offered by NZIBS is definitely one of the most comprehensive in the market if it comes to the literature list. This is a really good course! I learned how to turn something I find enjoyable into a business! I loved every moment and I value the feedback and direction the tutor provided. This Life Coach training course has given me confidence and the assurance that I have the skills to incorporate life coaching into my personal trainer business. I love my work and I am good at it. My apprenticeship period has been ongoing since I began this Life Coaching course. I have found myself continually conscious of the skills which I know are relevant in everyday life. While I have not actively sought clients they just come across my path. During my training I moved from Christchurch to Adelaide. No problems as my course moved with me. I found this course a lot more streamlined than what I imagined. It tied together nicely all the bits of information I have learned over the last few months. I learned some interesting things about how to engage with a target audience via ‘social media’ to enhance my performance. Also, how to develop and enhance the primary engagement of an audience by requiring them to be active. Eg: getting some form of response. I have met with a fellow NZIBS Life Coach graduate and we have agreed to become each other’s clients. That way we can compare coaching strategies and techniques, and experience life coaching from both sides of the table. I already have an established Life Coaching business as I’ve been practising for 25 years. I am in the process of re-launching myself as a global business, hence I am doing this NZIBS course as my refresher training. Doing this course has really encouraged me because I can now see that earning a reasonable income from Life Coaching is more achievable than it seemed before I broke it down into numbers. Can you provide examples of your graduates? We recommend 4-5 hours per week to complete the course in 6 months. If you spend more time, you can finish it sooner. Your aim is to submit at least one assignment a month. The course fee is $1500. This fees can be paid in monthly instalments, deposit $250 and then $250 per month. However, if you choose to pay upfront, we give a $200 discount. In addition to tutoring, the fee also covers the cost of materials, books and stationery. Student fees cover six months, from when you started. Students requiring longer must request an extension. An extension period is assessed based on how far a student has progressed with their studies. Our aim is to see you graduate.